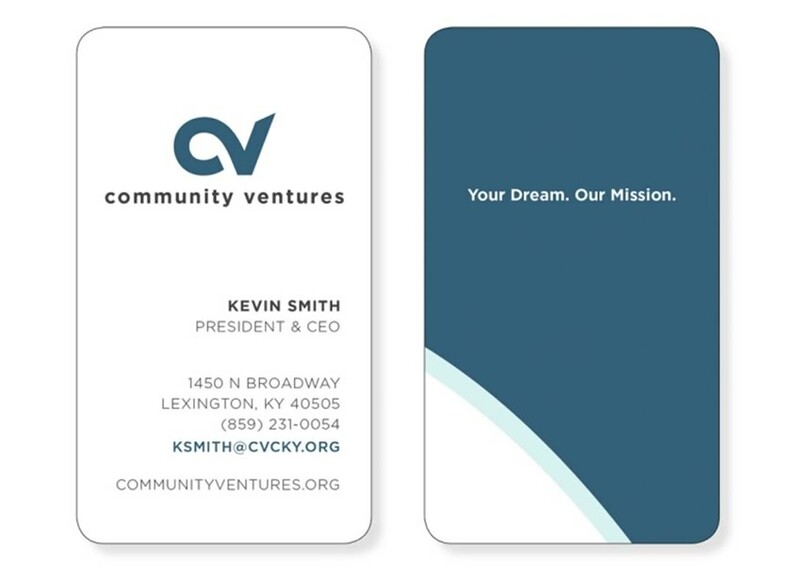 Create a brand identity that is consistent with Community Ventures’ mission and help people understand the various services it provides. A softer, optimistic use of the initials, cv. 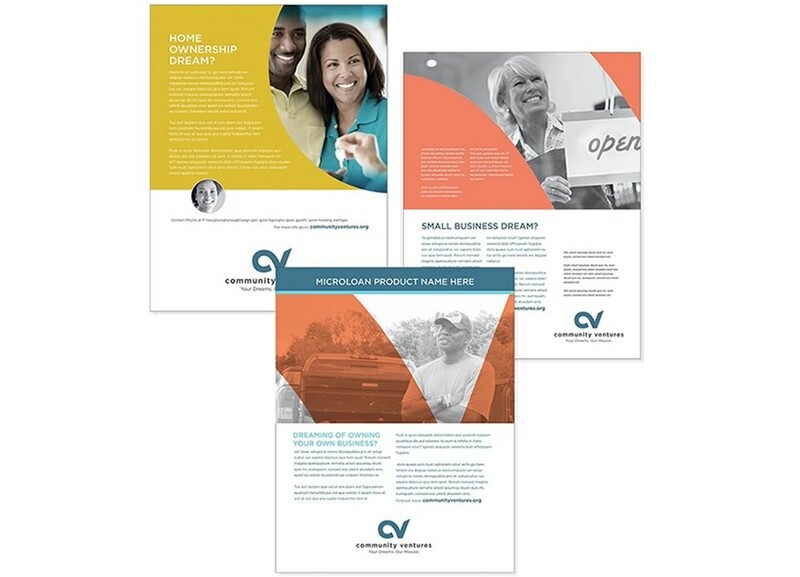 We provided the client with a new mission statement that made what they do more understandable. 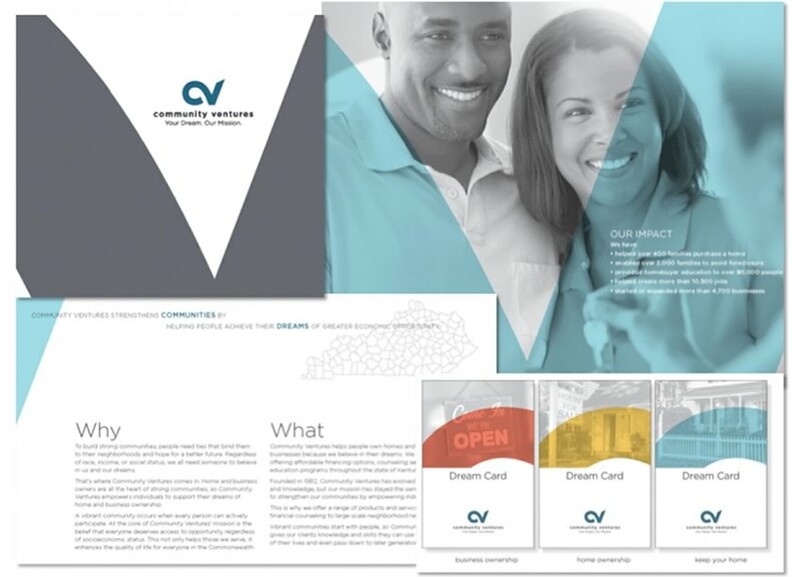 A new brand identity including branding standards and guides for future implementation as well as applying to wide-ranging materials such as the website, annual report, dream guide, social media pages, signage, stationery, and more.